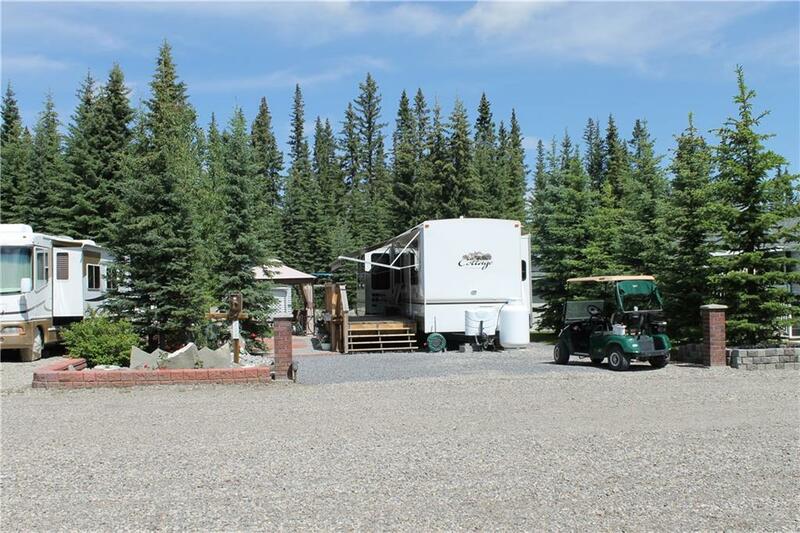 115 Coyote Creek - Sunshine, relaxation, and golf! 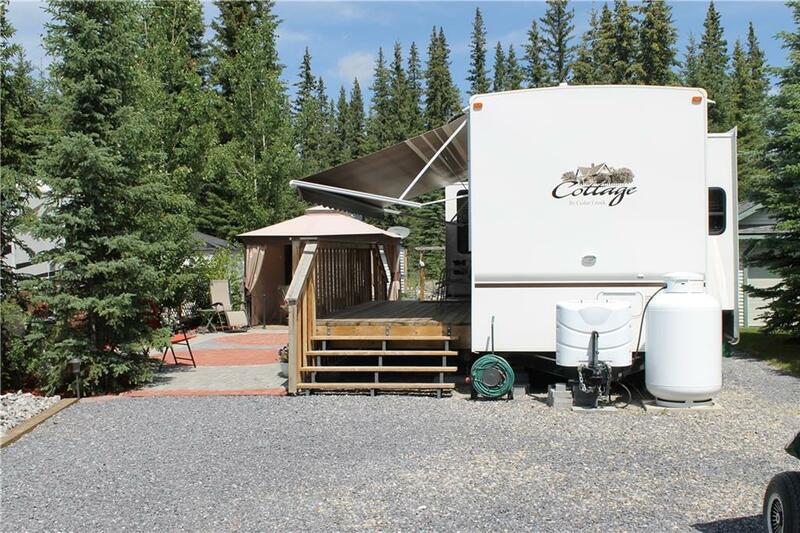 The gorgeous 38 2013 Cedar Creek destination trailer is located on a fully landscaped lot that backs onto the forest. 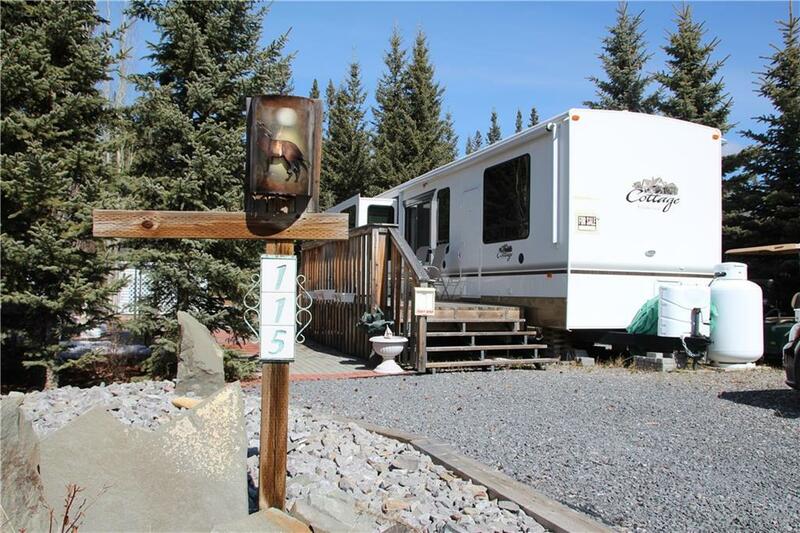 Inside you will find a well-appointed kitchen and living area with stainless steel appliances, comfy furniture and huge windows overlooking your own yard. Large bedroom with king and extra storage. All in "like new condition, with contents ready for you to use. Step out onto your canopy covered wood deck and then down onto the versatile unit-paver patio, set up for entertaining. Travel along the path past a second wood deck at grade, through the arbor, past the shed, to the back of the lot to the privacy of your firepit and the forest beyond. Various outside rooms all set up for various times of day and moods. 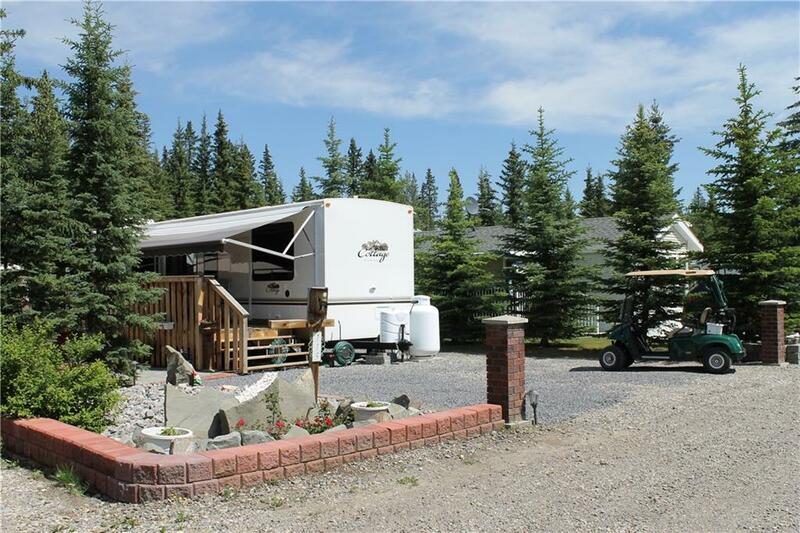 Coyote Creek is a gated recreational bare land condo just west of Sundre set within the Coyote Creek Golf Course. The rest of the West Country is just minutes away for your enjoyment. Great value all ready to go!